There are some places on this magical planet that leave your jaw on the ground, whilst you drag it along like an old car dragging a broken bumper. 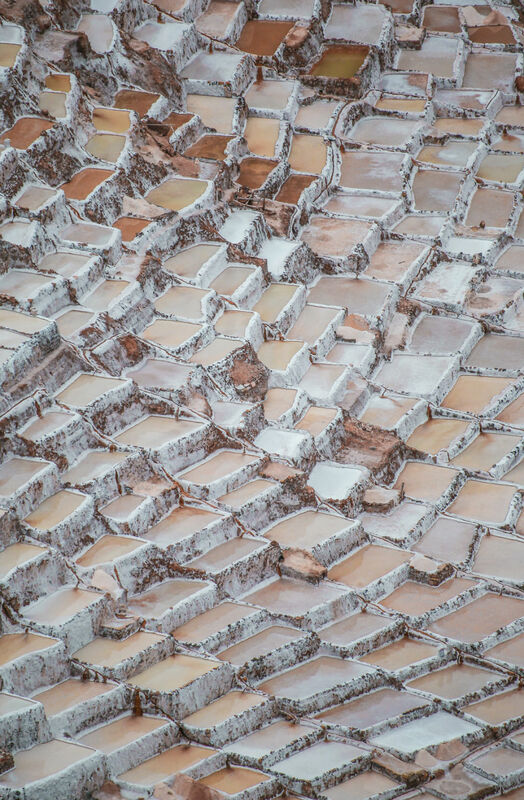 The Maras Salt Ponds, located in the ancient Inca Sacred Valley (we are happy to say), is one of such places. Over the past two and a half years, we have traveled to 41 countries, and we’ve been fortunate enough to pick up our jaws off the floor, at least a few times. 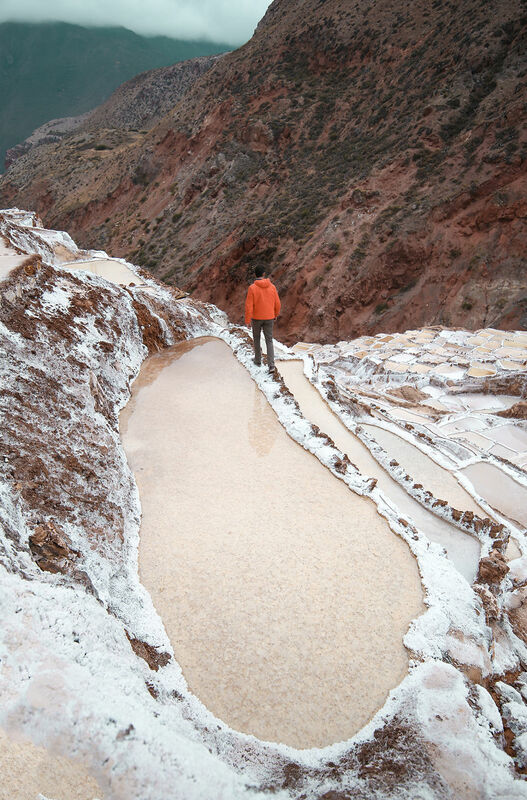 Our trip to Namibia comes to mind, the waterfalls of Iceland had us drooling too, and the Benagil cave in Portugal was beyond anything we could imagine. 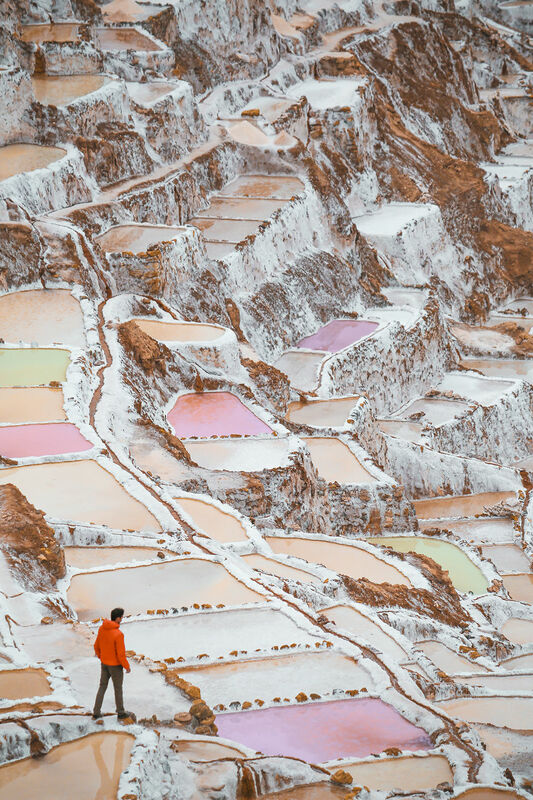 This time, however, we did not expect to see such a unique landscape appear in front of us, as we drove along the main road from the modern town of Cusco. Your first impression of the ponds is from a high vantage point, so you get to see the 3000+ ponds in all their glory. We were soon told that each one of these pools is owned by a different family. How they tell each of them apart from the others, well, we can only guess. 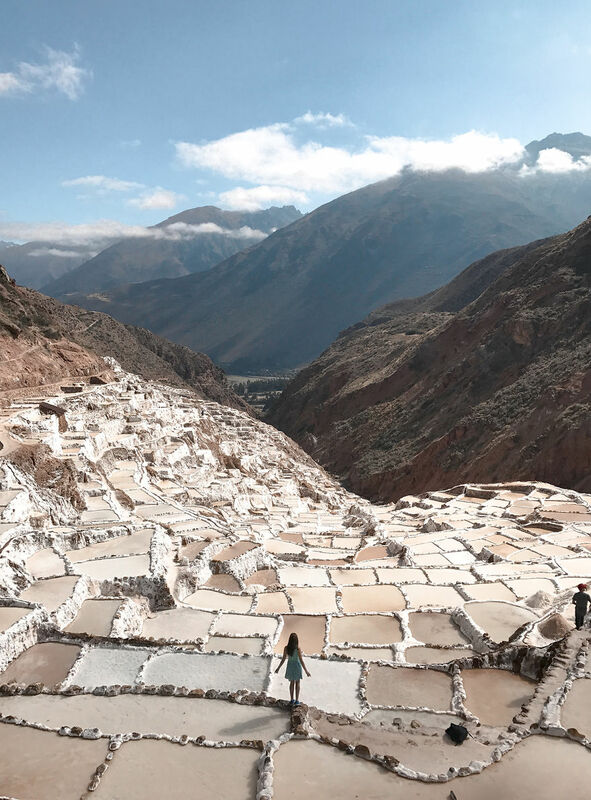 As you drive down the valley and get closer, you begin to see the detail of the structures, that are essentially fed by one subterranean stream, which, as you guessed, is very, very salty. 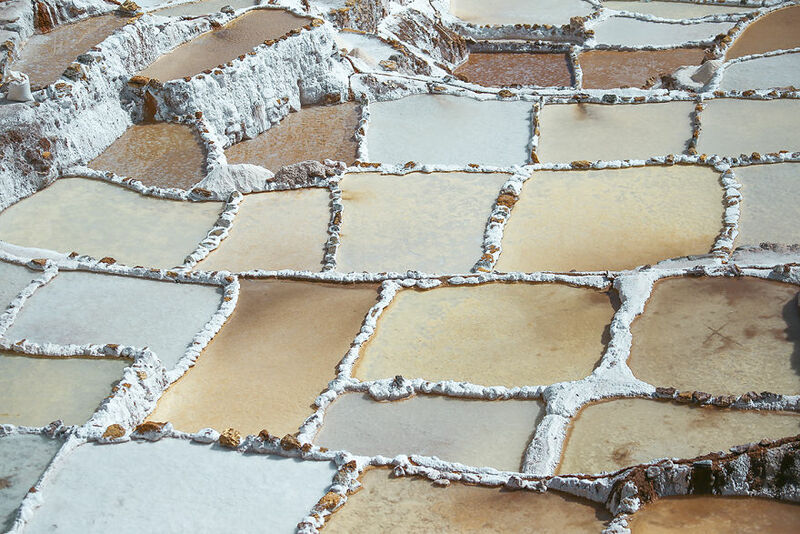 The process of creating the salt is really simple of course – the sacred water runs into these pools (which are not deep at all), and then evaporates to leave a thin crust of what has become some of the world’s most desirable salt. We spent a good few hours navigating our way through the maze of pathways, and it will certainly go down as one of our favorite places to get lost. 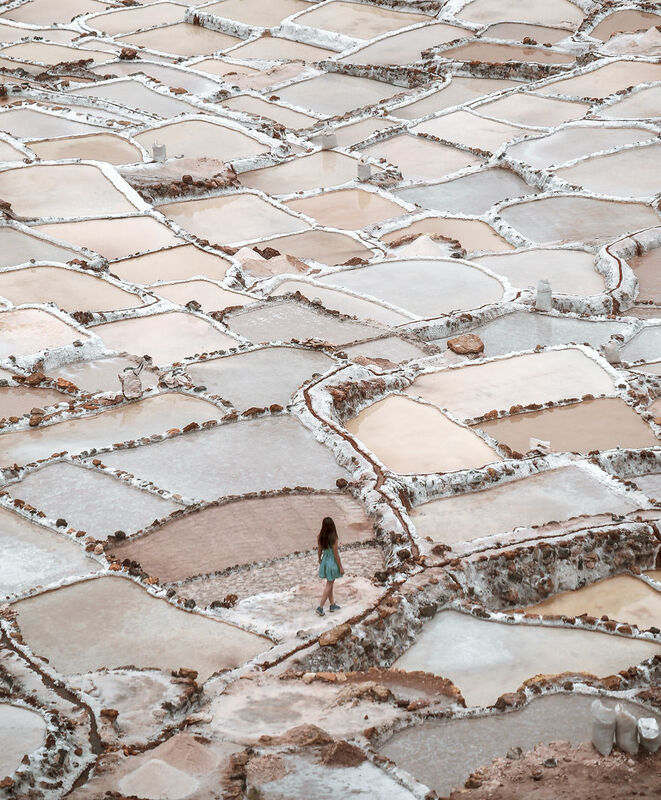 Image Credit fabulousfabs The Maras Salt Ponds are situated along a dirt road off the main highway between modern Cuzco and the surrounding towns. 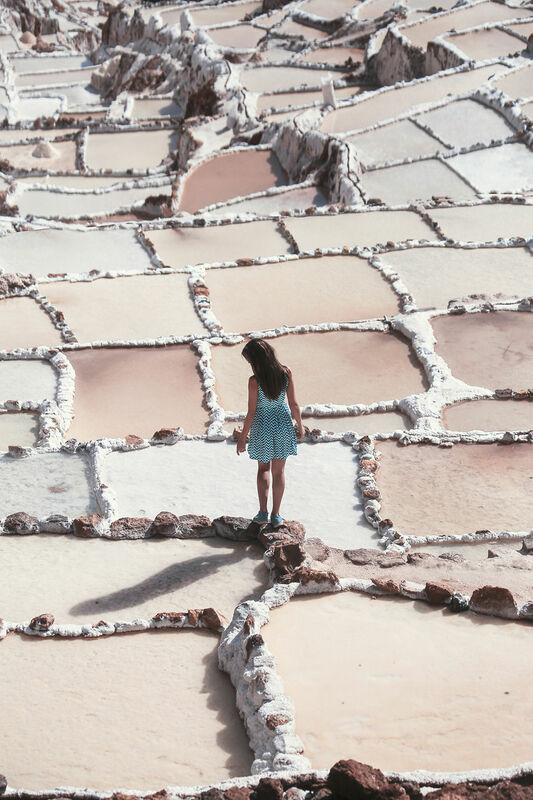 Salinas de Maras: Maras Salt Ponds - See 6,532 traveler reviews, 3,542 candid photos, and great deals for Cusco, Peru, at TripAdvisor.